Dimensions 1.50 by 7.50 by 10.25 in. Equipping analysts, practitioners, and graduate students with a statistical framework to make effective decisions based on the application of simple economic and statistical methods, Economic and Business Forecasting offers a comprehensive and practical approach to quantifying and accurate forecasting of key variables. 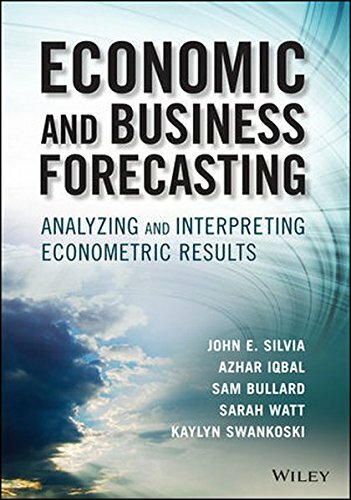 Using simple econometric techniques, author John E. Silvia focuses on a select set of major economic and financial variables, revealing how to optimally use statistical software as a template to apply to your own variables of interest. Presenting the "ten commandments" for economic and business forecasting, this book provides you with a practical forecasting framework you can use for important everyday business applications. About: Discover the secrets to applying simple econometric techniques to improve forecastingEquipping analysts, practitioners, and graduate students with a statistical framework to make effective decisions based on the application of simple economic and statistical methods, Economic and Business Forecasting offers a comprehensive and practical approach to quantifying and accurate forecasting of key variables.